The Downtown Fargo civic plaza (formal name TBD) is proposed as a non-profit community feature, modeled after Main Street Square in Rapid City, SD. The landscape architecture team, consisting of Land Elements from Fargo, ND and REA from Indianapolis, IN, has designed the plaza as a multi-use area with programming options available 12 months of the year. 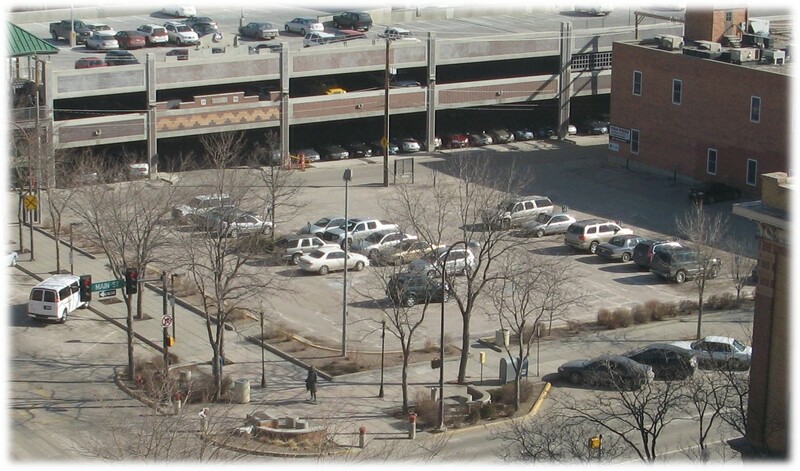 In February 2017, the Block 9 Partnership began working with Fargo Parks District on a partnership to manage and program the plaza. The Block 9 team has met with local groups including the Fargo-Moorhead Convention & Visitors Bureau, the Downtown Community Partnership, Folkways, The Arts Partnership, Emerging Prairie, City of Fargo, Fargo Parks and Jade Presents to determine the possibilities and viability of plaza programming. We are energized by their enthusiasm and visionary ideas for what the plaza can add to the quality of life for the Fargo area. 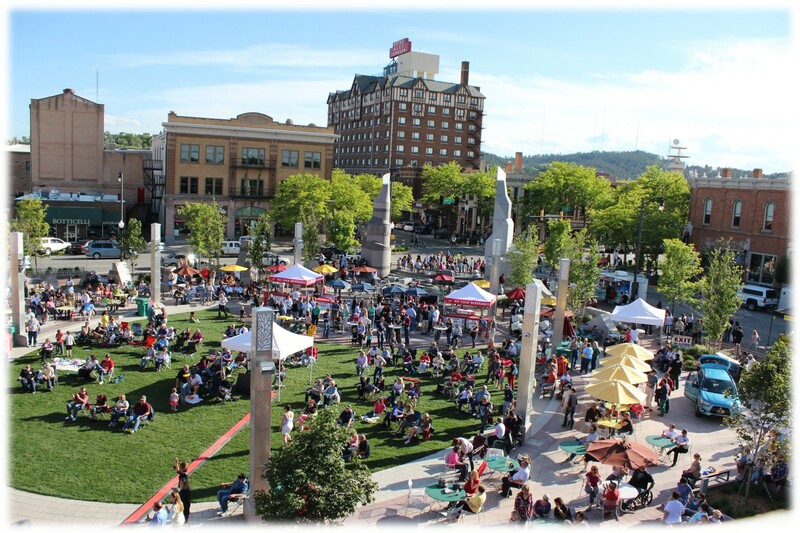 We’ve also engaged the team from Main Street Square in Downtown Rapid City as a learning and inspirational exercise. 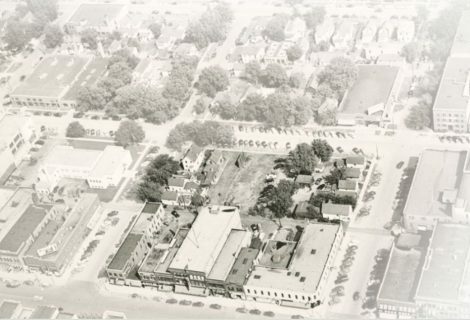 Main Street Square was once a surface parking lot. Today, it is a fun-filled public space that features special events, arts and culture, live concerts, seasonal ice skating and interactive fountains. In the summer, the Fargo plaza will feature a central event lawn, interactive water features, a performance stage with screen, audio, lighting, and security systems, flexible seating and tables, and a Great Rides Bike Share station. 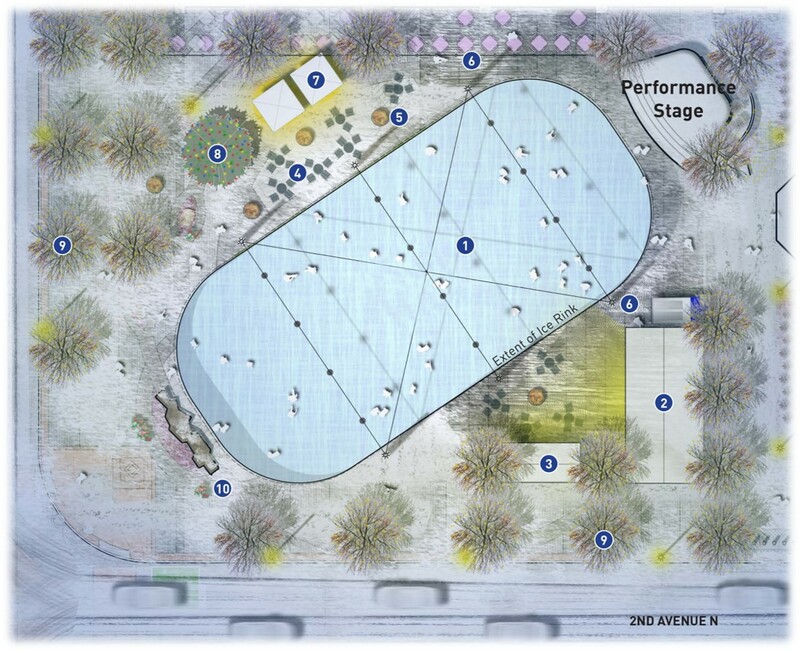 In the winter, it will be home to a mechanically cooled and groomed ice sheet, with ice skate rentals, warming huts, and holiday decorations. Pond hockey! Construction on the plaza is slated for the final stage of Block 9 development. It will begin in early 2019 and will take four months to complete. We cannot wait to invite you to enjoy downtown Fargo in an entirely new way! Read more from The Forum of Fargo-Moorhead. 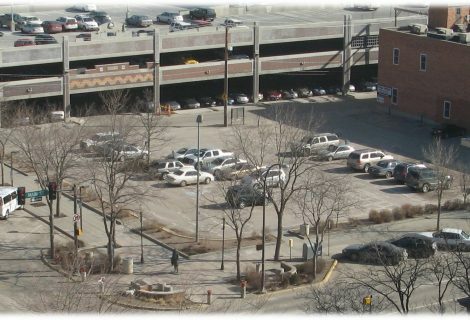 Currently a surface-level parking lot, Block 9 is at the corner of Broadway and Second Avenue North. 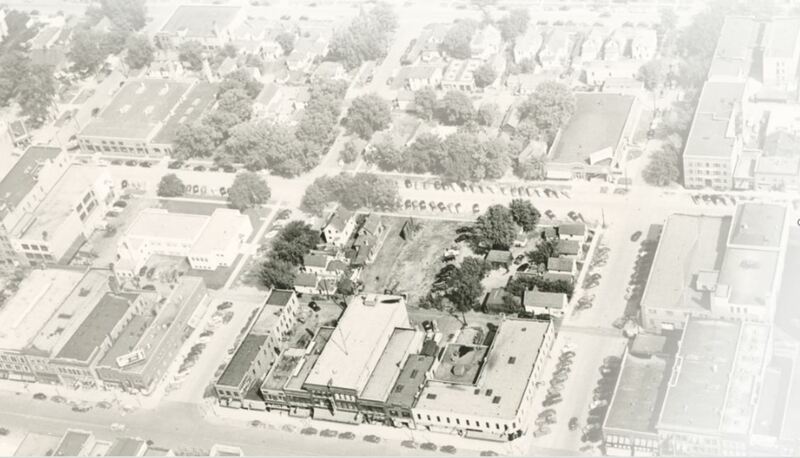 It became a surface lot after the mixed-use, multi-story buildings were lost to fire. The block has captured imaginations of people around the world as we’ve set out to dream of possibilities for the property. Held in 2010, Downtown Fargo: An Urban-Infill Competition garnered 160 design entries from 23 countries. Nearly six years later, a strong partnership has formed to turn the dream into reality. Co-developers Kilbourne Group and RDO Companies have partnered on the 293,000 square-foot Block 9 project. The ground floor will include hotel and office lobbies and mixed retail. Office space will be located on floors 2-8. RDO Companies will relocate its corporate headquarters to Block 9 and utilize a portion for its 350 team members. TMI Hospitality will own and operate a hotel on floors 9-12. Plan for floors 13-17 include customizeable upscale residential condos. The top floor will be a mechanical floor. In addition, a seven-story parking garage will be constructed in the northeast corner of the site. The 370-stall garage will provide parking for the office tenants and will be available to the public nights and weekends. 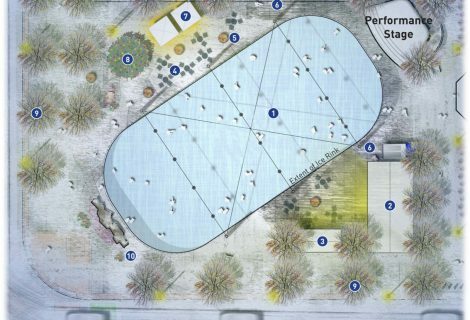 The completely redesigned plaza will include a band shell, water feature, skating rink, green space, and numerous seating options. The plaza will be programmed with different events 150+ days a year and will be the public gathering spot for downtown and the entire metro area. 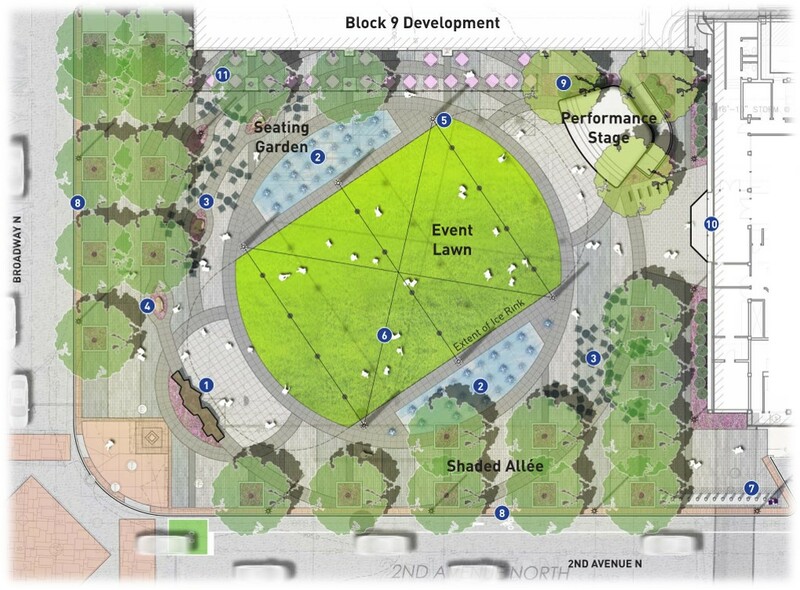 Have an event idea for the plaza?